We hope you find these pages of interest and look forward to receiving your comments. If you have any enquiries regarding the events or meetings on this site, please contact the secretary for further details, the email address is given on the links page. These pages have been produced for the benefit of the members of Cranbrook Lodge, freemasons in general and those persons in particular, who have an interest in freemasonry and our lodge, in order that they may have a point of contact, if they wish to take their interest further. Special thanks go to members and past members of Cranbrook Lodge for suggestions and contributions made to this site. After you have viewed our pages, please feel free to sign the guestbook. 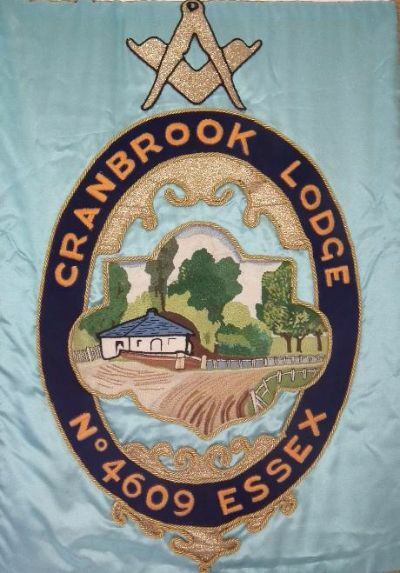 Cranbrook Lodge No. 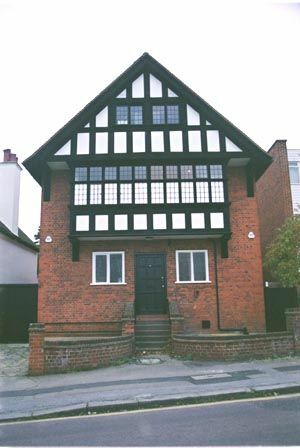 4609 meet at the Loughton Masonic Hall, pictured.The Loughton Masonic Hall is situated in the South West of Essex, about 11 miles from Central London and within an easy walk of Loughton station which is on the Central Line of the London Underground system. A detailed map, explaining how to get to the centre can be found, together with meeting details, on our 'Dairy Dates' page. The actual origins of Freemasonry are unclear but there are many theories put forward to explain them and the purpose of masonry. It is, in fact, the oldest fraternity in the world although we don't know how old because the origins have been lost over time! One possible theory is that organised freemasonry arose from the guilds of stonemasons employed in the building of castles and cathedrals in the Middle Ages, who adopted secret signs and words to indicate that they were trained masons as they moved about the country. It wasn't until 1717 that some formal organisation was realised in England, with the introduction of the first Grand Lodge. Freemasonry is a voluntary organisation which its said, seeks to make good men better by teaching morality through symbolism. It is not secret because it does not hide its existence or purposes but it is however, an organisation with traditions best known only by its members.